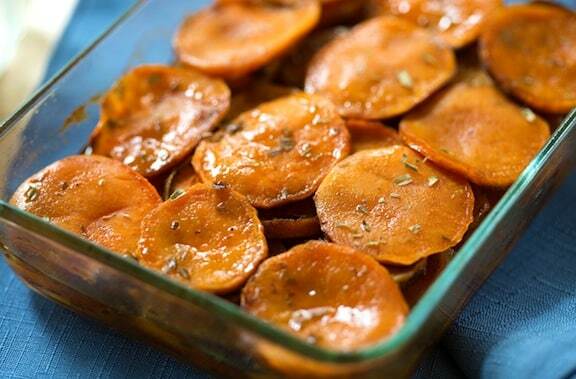 Maple syrup and tarragon are wonderful enhancements for the flavor of sweet potatoes. You’re welcome to make and serve this any time, of course, but it’s an especially delicious addition to the Thanksgiving meal. Photos by Hannah Kaminsky. 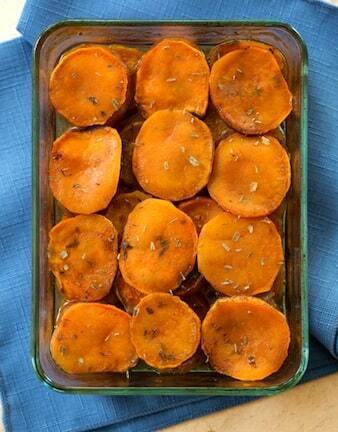 Maple syrup and tarragon are wonderful enhancements for the flavor of sweet potatoes. 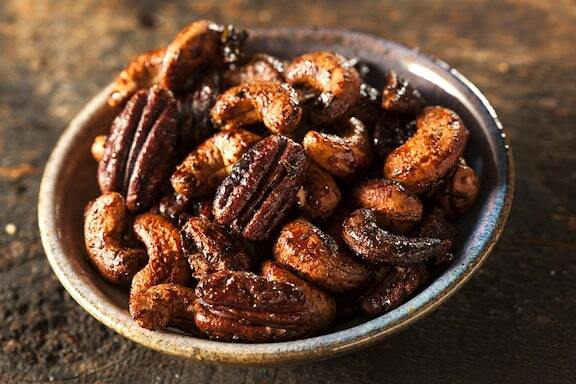 It's an especially delicious addition to the Thanksgiving meal. Arrange the sweet potato slices in overlapping rows in an oiled shallow 2-quart casserole. In a small bowl, combine the syrup, Earth Balance, juice, cinnamon, and salt. Pour evenly over the potatoes. Sprinkle the tarragon over the top. Cover with lid or foil and bake, covered, for 25 to 30 minutes, or until the sweet potatoes are readily pierced with a fork, but are still firm. Bake for 20 to 25 minutes longer, uncovered, or until glazed and golden around the edges. Cover and keep warm until needed, then serve from the casserole. 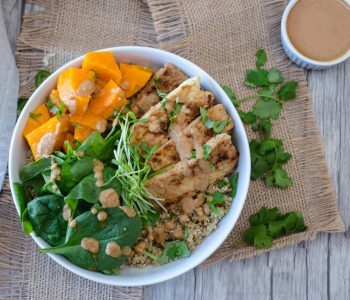 Enjoy more of VegKitchen’s sweet potato recipes. Here are more recipes to enjoy a Vegetarian and Vegan Friendly Thanksgiving. 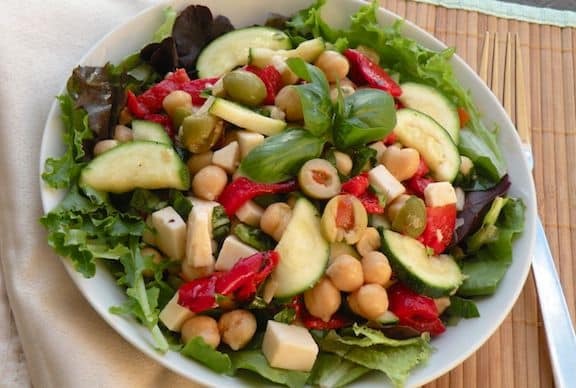 Find more ways to make Special Occasions and Entertaining easier and healthier. 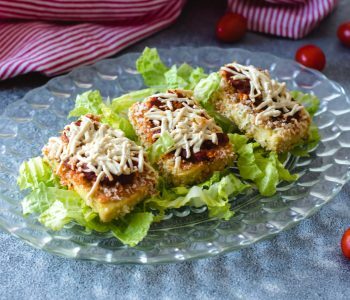 This recipe was easy and delicious! Sweetening with maple and orange juice also made it a healthier choice next to traditional candied yams. The only downside was they took twice as long to cook than the recipe says. 25 mins with foil, 25 mins without foil, then shoved them back in with foil at 425 for 35 minutes. Allison, not sure why your sweet potatoes took so long to bake, but I suppose many factors are at play — what type of sweet potato, how thickly it’s sliced, how accurate the oven is. I’ll keep an eye on the clock next time I make this. But I’m glad all’s well that ended well!